Caterpillar is a large equipment manufacturing company. This company produces equipment for three sectors namely resource industries (mining), emery or transportation industry (oil and gas, marine) and construction. 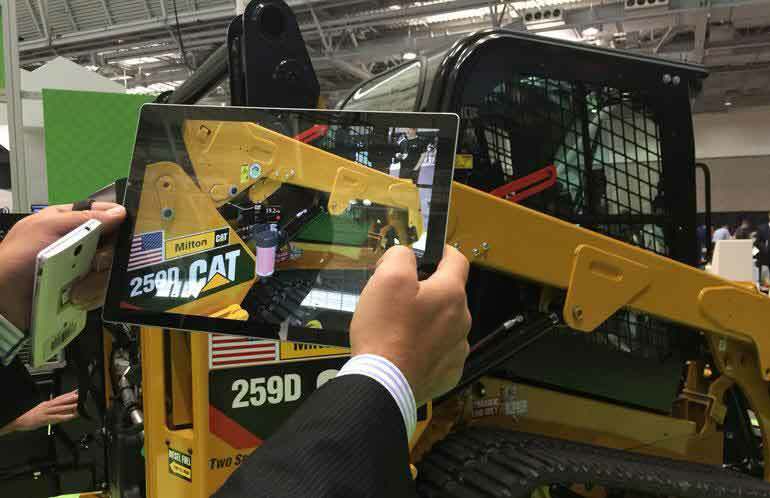 The company has created a tractor in a VR app that includes more than 6,000 part numbers. A salesperson could use his or her smartphone to hover over any icon on the specification sheet. This would give the visual rendering of the product. One could also do a simulation of digging trenches to check whether they are violating any highway control. Lewis also told that one would need real-time data from the equipment’s and AR covers that to offer different visual experience. There is a virtual model which allows the expert to put together all the information and analyze the data. They could also see the physical model actually working in the environment. Lewis also said that at this moment there are many challenges to the use of AR in harsh environment conditions and he hopes that with the advancement of technology these challenges would be solved.